Nirenstein, Horowitz & Associates provides legal services to clients throughout Middlesex County. Our legal team is trusted throughout Middlesex County to offer advice on a wide variety of legal matters related to estate planning and elder law. From financial planning to making provisions for incapacity to securing your legacy, we are here to help. Give us a call at 860-548-1000 or contact us online to find out more. Middlesex County is located in south central Connecticut and has a population of more than 165,000 people. The county is a very old one, as it was created back in May of 1785. When Middlesex County was formed, it was created from parts of both New London County and Hartford County. Middlesex County is a part of the Greater Hartford metropolitan area, and the county spans 439 square miles. Middlesex County is the smallest of Connecticut’s counties in terms of land area, as 70 square miles of the county are water. It is also the second smallest by total area of all of the counties in Connecticut. Middlesex, like all eight of the counties within Connecticut, doesn’t have either a county seat or a county governing body. Instead, services are provided by local townships which are responsible for snow removal, public schools, police departments, fire departments, and first responders. While Middletown used to be the county seat of Middlesex, no county governments or county seats have existed in Connecticut since the 1960s. Middlesex has a population density of 420 people per square mile in the county, and close to 90 percent of the county is caucasian. The people in the county make up around 61,341 total independent households, with single people aged 65 living alone accounting for around 10 percent of all Middlesex County households. When seniors live alone, they can often require more county services and many will eventually require nursing home care. Elder law attorneys provide assistance to seniors in dealing with the unique issues of aging, but also offer representation and advice to people of all age groups. We serve the following cities in Middlesex County as well as all the surrounding communities. If you live in Middlesex County we can help you. In Middlesex County, 13.60 percent of the population was 65 or older as of the most recent census in 2010. Seniors can face unique challenges as they age, but there are resources in Middlesex County which are designed to help people as they get older. Connecticut’s State Department on Aging offers a variety of assistance, including Community Choices. Community Choice provides help to older people, disabled people, and caregivers in connecting with available resources. Seniors and caregivers can access services like care transition assistance, and can receive benefits screenings and options counseling. Many seniors may also seek care in a nursing home as they get older. Caring.com lists 16 nursing homes in Middlesex County. Nursing homes in the area can be expensive, and families who wish to preserve their nest egg should strongly consider making advanced plans to cover nursing home costs by qualifying for Medicaid. While Medicaid is a needs-based and means-tested program which limits coverage to people with few resources, there are ways of structuring asset ownership which will not cause disqualification from Medicaid. In many cases, estate planning is aimed at avoiding court proceedings like guardianship and probate. Sometimes, however, these proceedings become necessary in situations of incapacity or death. When legal matters arise which must be resolved in court, clients will find themselves in Connecticut Probate Court. There are different probate courts in different locations throughout Connecticut. 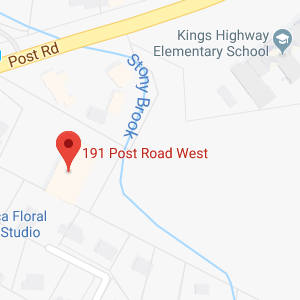 For example, in Middletown, which is in Middlesex County, there is a probate court located at 94 Court Street; Middletown, CT 06457. The telephone number to reach this court is 860-347-7424. If you must go to probate court, it is beneficial to be represented by an experienced attorney who can provide you with guidance and who can serve as your advocate before the court. Your attorney can assist you in filing appropriate court paperwork, fulfilling legal obligations during court proceedings, and making strong arguments for your preferred outcomes. Legacy planning: An attorney helps with the use of trusts, wills, and other estate planning tools to allow you to leave money to family and charity in the most effective ways. Incapacity planning: Your attorney assists you in preparing for management of assets and healthcare decisions in case of incapacity. Nursing home planning: An attorney will help you to protect assets so they are not lost in case of high nursing home bills. Your attorney can also advise you on nursing home admissions paperwork. Asset protection. Through the use of trusts, living wills, and other appropriate tools, your attorney can provide assistance with asset protection during your life and after your death. Estate tax planning. An attorney can assist you in reducing or avoiding estate taxes. Financial planning. An attorney assists with retirement planning and making smart money moves throughout your life. Business succession planning. Companies owners can get advice on how to ensure their business can continue operations after they are gone. These are just a few of the many things a Middlesex County estate planning lawyer can do to provide assistance to clients who want to make effective use of Connecticut’s legal tools to plan for their future. 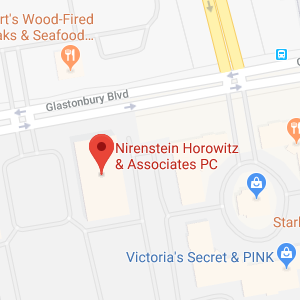 Nirenstein, Horowitz & Associates can help you if you live in or around Middlesex County and you have any legal issues related to elder law or estate planning. Our legal team is committed to helping families achieve more security in all aspects of planning for the future, whether this involves growing wealth, protecting assets, or maintaining control in the face of incapacity. To find out more about the assistance we can provide to you, give us a call at 860-548-1000 or contact us online today.